Earlier this week I blogged “What were you THINKING!? !”, concerning adult reaction when older children make poor decisions. A news report concerning adolescents taking selfies on active railroad tracks, encouraged me to continue on this topic. In the last year over 500 deaths on railroad tracks have been reported. One of the issues is the adolescent attraction to thrills. Of course, it was mentioned the influence of music videos and movies. But we must also look at the physiological development of children and adolescents. Research has shown that the brains of children mainly focus on visual processing and slowly begin to develop in planning and impulse control, a process which isn’t complete until adult maturity. The adults who are involved with children and teens must keep in mind that the brain function does not keep up with the physical growth on the outside. To know what is going on in that brain, parents and other loving adults must become very good listeners. 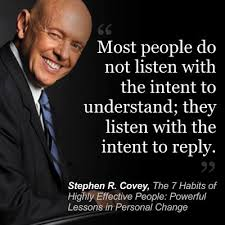 Stephen Covey, in The 7 Habits of Highly Effective People, wrote, “Most people do not listen with the intent to understand; they listen with the intent to reply.” An adolescent’s adults must listen to them with intent to understand, and often to ‘read between the lines’ throughout the conversation to ascertain what they really want to be known. Often you need to restate what you heard for clarification as what you hear is not always what they are trying to say. They do not want to know what you think, they want you to know what they think. 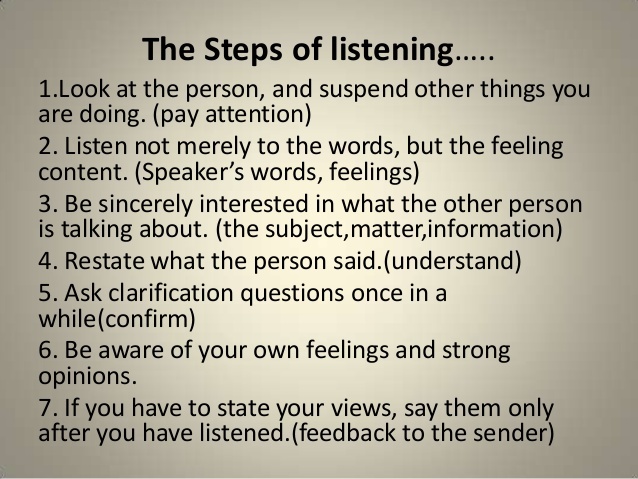 When you stop listening, they stop speaking, when they stop speaking, there is no communication. Observation of adolescents shows they are a whirlwind of brain activity in short spaces of time. They can be a wealth of knowledge one moment, have the enthusiasm of a puppy, interest in topics far beyond their years, or want to spend the day watching cartoons. It is normal! Expect them to behave like children, be grateful when they act maturely showing signs of brain growth, prepare them as best you can for the decisions that they may have to make when you aren’t around, and love them no matter what. ← What Were You THINKING!? !